Butterfly prints can go either way... extremely tacky and childish or realistic and tasteful. 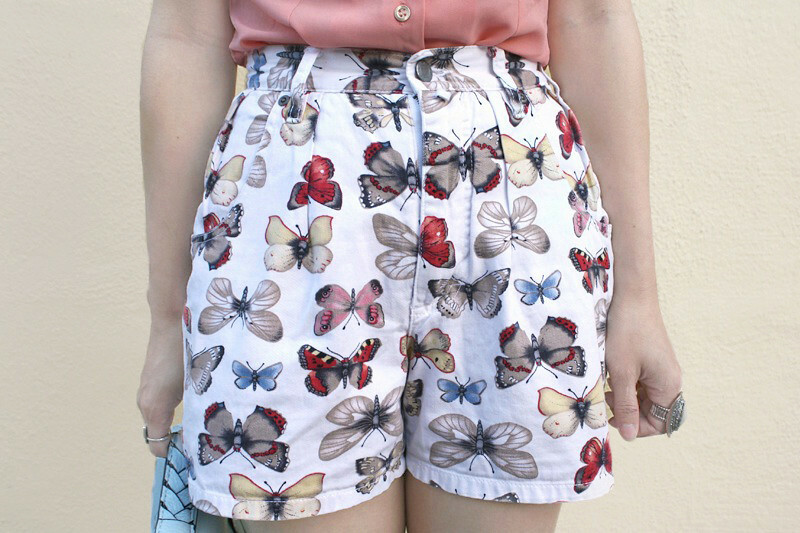 I would like to think these vintage butterfly print shorts of mine are on the good side of the spectrum. For some strange reasons I cannot remember where I got them, either from thrifting or Etsy. Anyways, I really love how realistic and details the butterflies are, they sort of remind me of entomology drawings. I paired them with a darling ruffle trimmed peter pan collar blouse and some matching robin egg blue handbag and flats! 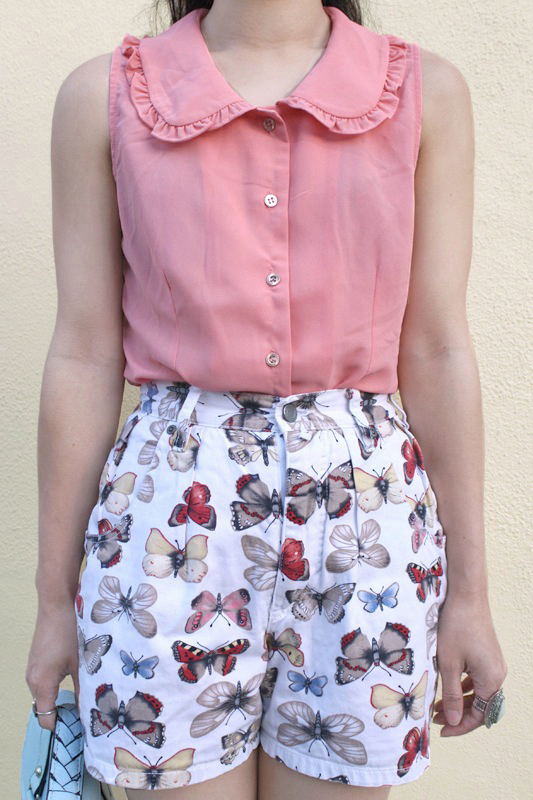 Vintage high waisted butterfly print shorts by Esprit. Ruffle trimmed peter pan collar blouse by Cotton Candy from my work Sway. Braided handle leather satchel from Hong Kong. Vintage cut out leather flats by Pappagallo Plus from Etsy. So pretty! I will forever be impressed by your powers of matching. Amazing outfit I love the little hints of blue...just perfect as always!